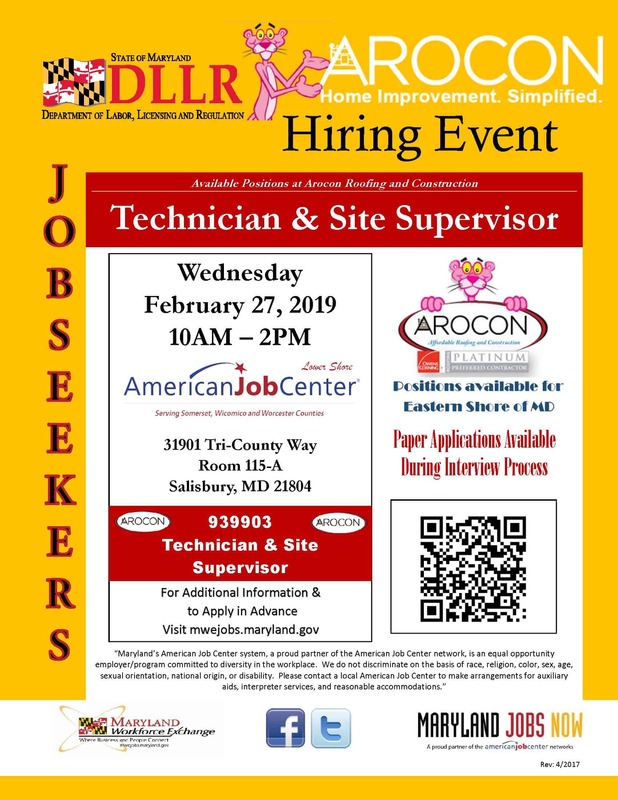 AROCON Roofing and Construction will be holding a hiring event on Wednesday, February 27 from 10 AM to 2 PM at the American Job Center in room 115-A. Open positions for Technician and Site Supervisor. For additional information and to apply in advance, please click here.